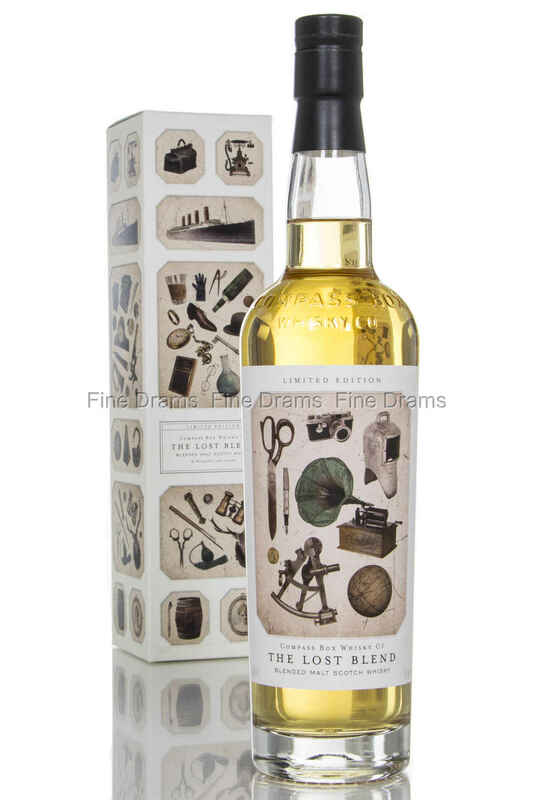 A new limited edition from Compass Box, produced as a homage to one of their old blends, the Eleuthera, a single malt blend which retired in 2004. The Eleuthera was comprised of 80% unpeated Highland and 20% peated Islay malts. Ever since they had to retire the Eleuthera, Compass Box had secretly been looking for the whiskies needed to replicate this spectacular blended malt. Luckily, they found the malts required to bring it back. The Lost Blend also draws inspiration from the sharp and witty O. Henry’s story of the same name. The story is of two business partners running a bar in New York in the early 1900s, and revolves around the two partners trying to recreate a blend of different spirits with almost supernatural properties. John Glaser, master blender of Compass Box, calls this whisky a “magic” combination of whiskies.